Ringed seals in the Bering Sea inhabit both pack ice (large sheets or chunks of sea ice that drift with the currents and wind) and shorefast ice (immobile ice attached to land, aka “fast ice”). While it is often stated that animals found in the pack ice are groups of nonbreeding subadults that have been excluded from preferred territories in shorefast ice by older, dominant animals (Hammill and Smith 1991; Holst et al. 1999; Krafft et al. 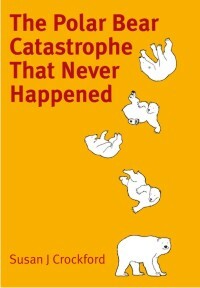 2006, 2007; Laidre et al. 2008; Smith and Hammill 1981; Smith et al. 1991; Stirling and Øritsland 1995), it is has been clear for some time that the pack ice is not restricted to immature animals. Evidence of ringed seal breeding in the pack ice comes from the Bering Sea (Burns 1970), Sea of Okhotsk, and Chukchi Sea (Fedoseev 1975), Davis Strait of the central Canadian Arctic (Finley et al. 1983), and the Barents Sea (Wiig et al. 1999). Fedoseev (1975) concluded from his preliminary study in the North Pacific that pack ice–breeding seals were smaller at maturity as well as at birth and that they matured faster than shorefast ice–breeding seals. Despite the evidence that two distinct morphotypes indeed exist— apparently the consequence of the population dividing itself among two distinct ecological habitats that are consistently available across the Arctic— ringed seals are characterized as giving birth invariably within shorefast ice habitats exclusively (e.g., Frost et al. 2004; Hammill and Smith 1991; Holst et al. 1999, 2001; Kingsley et al. 1985; Laidre et al. 2008; Lydersen and Gjertz 1986; Reeves et al. 2002; Smith and Hammill 1981; Smith et al. 1991; Stirling and Øritsland 1995). Where pack ice–breeding is acknowledged to occur, it is largely dismissed as an insignificant phenomenon (e.g., Burns 1970; Kraftt et al. 2007; Nowak 2003). However, given that off shore pack ice throughout the Arctic remains virtually unsurveyed for all life forms, including polar bears and ringed seals (e.g., Aars et al. 2006), such a conclusion must be considered premature. Some biologists have concluded that a substantial population of ringed seals must inhabit the off shore Arctic pack ice, based in part on estimates of the number of seals required to support known populations of polar bears,their primary predator (e.g., Derocher et al. 2002; Stirling 2002; Stirling and Øritsland 1995; Wiig et al. 1999). Finley et al. (1983:171), based on a survey of Baffin Bay in the central Canadian Arctic, concluded that “the pack ice supports a much larger population of seals than does the bordering area of fast ice” and that these animals inhabit ice that lies well off – shore. While the primary productivity of pack ice over deep Arctic waters is presumed to be uniformly low and, thus, unsuitable habitat for seals and other marine mammals (e.g., Fischbach et al. 2007), this assumption is based on very few actual measurements collected over huge distances and time periods (Aars et al. 2008). … In other words, it is apparent that young polar cod do not require ice that is positioned over shallow, continental shelf waters, and, therefore, neither do ringed seals nor the polar bears that prey upon them. If off shore pack ice over deep water is productive enough for polar cod, it should be suitable for ringed seals and polar bears also. of this ecosystem to sustain these species over millions of years despite dramatic shifts in ice extent and persistence (e.g., Harington 2008). The most recent evidence in support of these conclusions comes from a study of genetic diversity in the ringed seal, which showed virtually no regional subdivision across the Arctic (Davis et al. 2008). The authors, in attempting to explain these results, suggest that preferred landfast ice breeding locations for mature ringed seals may be more limited than previously thought and propose that competition for landfast ice breeding territories may drive many mature seals off shore to breed in the pack ice. This suggests to us an explanation for how and why ringed seal ecotypes develop and persist. If strongly territorial, large bodied individuals of both sexes out-compete weakly territorial, smaller-bodied seals for access to limited coastal breeding habitats, smaller- bodied and more rapidly-maturing animals will end up breeding in the pack ice (see discussions of body size vs. relative growth rates in Crockford 2006). Certainly, within landfast ice habitats, ringed seals of both sexes set up territories during the breeding season (Smith and Hammill 1981; Kraftt et al. 2007), and both reportedly show territorial aggression during this time (Smith and Hammill 1981; Stirling 1977, cited in Lydersen and Gjertz 1986). In other species, a strong correlation has been found between body size and degree of territorial aggression, especially in males that stake out breeding territories; in some taxa, these traits appear to be positively linked to variations in plasma testosterone levels (e.g., Sinervo et al. 2000). Thus, strongly territorial behavior and an associated larger body size that allows highly territorial animals to successfully outcompete smaller-bodied individuals for preferred breeding sites may drive continual recruitment of small-bodied seals into the off shore pack ice environment, leading to the development of two ecotypes that are morphological distinct but genetically indistinguishable. Note that such physically and behaviorally distinct ecotypes exist in many other species, see the entire paper for that discussion, cited below. Crockford, S.J. and Frederick, G. 2011. Neoglacial sea ice and life history flexibility in ringed and fur seals. pg. 65-91 In T. Braje and R. Torrey, eds. Human and Marine Ecosystems: Archaeology and Historical Ecology of Northeastern Pacific Seals, Sea Lions, and Sea Otters. U. California Press, LA. pdf here. Unfortunately, the tendency to ignore or dismiss the existence of pack-ice breeding ringed seal persists in the more recent literature, including the documents used to supporting listing ringed seals as ‘threatened’ with extinction by the US Fish & Wildlife Service under the Endangered Species Act (Kelly et al. 2010; Lowry 2016; USFSW 2012). 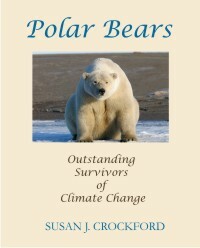 However, the evidence for the existence of ringed seal breeding in Arctic pack ice is not only very strong but helps to explain the long-term survival of polar bears and ringed seals despite massive changes in sea ice conditions over the last few hundred thousand years (Crockford 2017). US Fish & Wildlife Service (USFWS). 2012. Threatened status for the Arctic, Okhotsk and Baltic subspecies of the ringed seal. Federal Register 77: 76706–76738. Aars, J., T. A. Marques, S. T. Buckland, M. Andersen, S. Belikov, A. Boltunov, and Ø. Wiig 2009 Estimating the Barents Sea Polar Bear Subpopulation Size. Marine Mammal Science 25: 35–52. Born, E. W., J. Teilmann, M. Acquarone, and F. F. Riget 2004 Habitat Use of Ringed Seals (Phoca hispida) in the North Water Area (North Baffin Bay). Arctic 57(2):129– 142. Burns, J. 1970 Remarks on the Distribution and Natural History of Pagophilic Pinnipeds in the Bering and Chukchi Seas. Journal of Mammalogy 51(3):445– 454. Crockford, S. J. 2006 Rhythms of Life: Thyroid Hormone and the Origin of Species. Victoria, Trafford. Crockford, S.J. 2008 Be Careful What You Ask For: Archaeozoological Evidence of Mid-Holocene Climate Change in the Bering Sea and Implications for the Origins of Arctic Thule. In Islands of Inquiry: Colonisation, seafaring and the archaeology of maritime landscapes, edited by G. Clark, F. Leach and S. O’Connor, pp. 113– 131. Terra Australis 29 ANU E Press, Canberra. Crockford, S., and G. Frederick 2007 Sea Ice Expansion in the Bering Sea during the Neoglacial: Evidence from Archaeozoology. The Holocene 17:699– 706. Crockford, S.J. and Frederick, G. 2011. Neoglacial sea ice and life history flexibility in ringed and fur seals. pg. 65-91 In T. Braje and R. Torrey, eds. Human and Marine Ecosystems: Archaeology and Historical Ecology of Northeastern Pacific Seals, Sea Lions, and Sea Otters. U. California Press, LA. Davis, C. S., I. Stirling, C. Strobeck, and D. W. Coltman 2008 Population Structure of Ice-Breeding Seals. Molecular Ecology 17:3078– 3094. 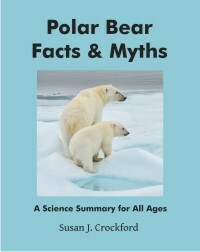 Derocher, A. E., Ø. Wiig, and M. Andersen 2002 Diet Composition of Polar Bears in Svalbard and the Western Barents Sea. Polar Biology 25: 448– 452. Fedoseev, G. A. 1975 Ecotypes of the Ringed Seal (Pusa hispida Schreber, 1777) and Their Reproductive Capabilities. In Biology of the Seal, edited by K. Ronald and A.W. Mansfi eld, pp. 156– 160. Rapports et Proces-verbaux des Reunions, Conseil International Pour L’Exploration de la Mer 169. Ferguson, S. H., M. K. Taylor, and F. Messier 2000 Influence of sea ice dynamics on habitat selection by polar bears. Ecology 81:761– 772. Finley, K. J, G. W. Miller, R. A. Davis, and W. R. Koski 1983 A Distinctive Large Breeding Population of Ringed Seal (Phoca hispida) Inhabiting the Baffin Bay Pack Ice. Arctic 36:162– 173. Fischbach, A. S., S. C. Amstrup, and D. C. Douglas 2007 Landward and Eastward Shift of Alaskan Polar Bear Denning Associated with Recent Sea Ice Changes. Polar Biology 30:1395– 1405. Frost, D. J., L. F. Lowry, G. Pendleton, and H. R. Nute 2004 Factors Aff ecting the Observed Densities of Ringed Seals, Phoca hispida, in the Alaskan Beaufort Sea, 1996– 99. Arctic 57:115– 128. Ringed Seals Pusa hispida in the Fast- Ice Breeding Habitat of Kongsfjorden, Svalbard. Marine Ecology Progress Series 335:199– 206. Labansen, A. L., C. Haug, and K. M. Kovacs 2007 Spring Diet of Ringed Seals (Phoca hispida) from Northwestern Spitsbergen, Norway. ICES Journal of Marine Science 64:1246– 1256. 2008 Quantifying the Sensitivity of Arctic Marine Mammals to Climate- Induced Habitat Change. Ecological Applications 18(2, Suppl. ):S97– S125. Lee, J., and Taylor, M.K. 1994. Aspects of the Polar Bear Harvest in the Northwest Territories, Canada. Bears: Their Biology and Management 9, Part 1: A Selection of Papers from the Ninth International Conference on Bear Research and Management, Missoula, Montana, February 23-28, 1992, 237-243. Lønne, O. J., and B. Gulliksen 1989 Size, Age and Diet of Polar Cod, Boreogadus saida (Lepechin 1773), in Ice Covered Waters. Polar Biology 9:187– 191. Lydersen, C., and I. Gjertz 1986 Studies of the Ringed Seal (Phoca hispida Schreber 1775) in its Breeding Habitat in Kongsfjorden, Svalbard. Polar Research 4:57– 63. Nowak, R. M. 2003 Walker’s Marine Mammals of the World. John’s Hopkins University Press, Baltimore. Reeves, R. R, B. S. Stewart, P. J. Clapham, and J. A. Powel 2002 National Audubon Society’s Guide to Marine Mammals of the World. Alfred A. Knopf, New York. 2000 Testosterone, Endurance, and Darwinian Fitness: Natural and Sexual Selection on the Physiological Basis of Alternative Male Behaviors in Side- Blotched Lizards. Hormones and Behavior 38:222– 233. Skúlason, S., and T. B. Smith 1995 Resource Polymorphisms in Vertebrates. Trends in Ecology and Evolution 10:366– 370. Smith, T. B., and S. Skúlason 1996 Evolutionary Signifi cance of Resource Polymorphisms in Fishes, Amphibians, and Birds. Annual Review of Ecology and Systematics 27:111– 133. Smith, T. G., and M. O. Hammill 1981 Ecol ogy of the Ringed Seal, Phoca hispida, in Its Fast Ice Breeding Habitat. Canadian Journal of Zoology 59:966– 981. Wiig, O., A. E. Derocher, and S. E. Belikov 1999 Ringed Seal (Phoca hispida) Breeding in the Drifting Pack Ice of the Barents Sea. Marine Mammal Science 15:595– 598. This entry was posted in Life History, Sea ice habitat and tagged birth, breeding, ecotype, fast ice, feeding, morphotype, offshore ice, pack ice, polar bear, prey, productivity, pups, ringed seal, shorefast ice. Bookmark the permalink.